Are you more of a night owl than an early riser? If you find that evenings are the most energetic part of your day, and you need to switch up your routine with something new, pay attention at these late-night museums and art festivals that are going on all over the world. You can plan your next trip around one of these, or pop along if you’re lucky enough to live nearby. Berlin is home to what was the first Museum Night, or Long Night of the Museums, an idea that has been adapted by many other cities and is now a trend all over the world, with variations specific to each city. Only 18 museums took part in its first night, in 1997, and now there are more than 80 museums that are opening their doors past midnight. Art Night is a free contemporary-arts festival that repurposes iconic sites in London, inviting the public to experience urban spaces in a whole new way. Every year, the festival takes place in a different area in London, and aims to highlight the boroughs’ unique identity, culture, architecture and urban planning. It includes a wide range of contemporary art forms, from performance to intervention, installations and more. 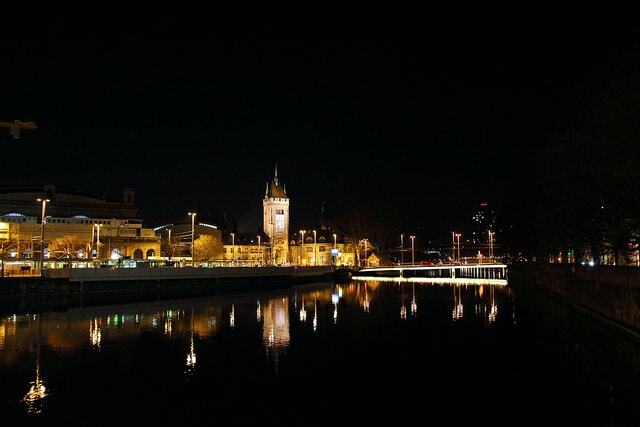 Lange Nacht allows visitors to experience museums and other cultural spaces in Zurich overnight. Highlights include visiting the Pavillon Le Corbusier, the fantastic house and museum dedicated to the Swiss architect’s work, which is otherwise closed to the public. Other participating institutions include the museums Kuntshaus, Rietberg and Landesmuseum, the Cabaret Voltaire and even Zurich Zoo. Art After Dark is a monthly event run by the Guggenheim in Bilbao, an incredible building as much for its architecture as for the artworks in and around it. The museum invites three DJs to play in its main atrium, which becomes a dance floor for the night. Visitors also have access to several exhibition rooms, which include awe-inspiring, gigantic pieces by Richard Serra that are part of the permanent collection. 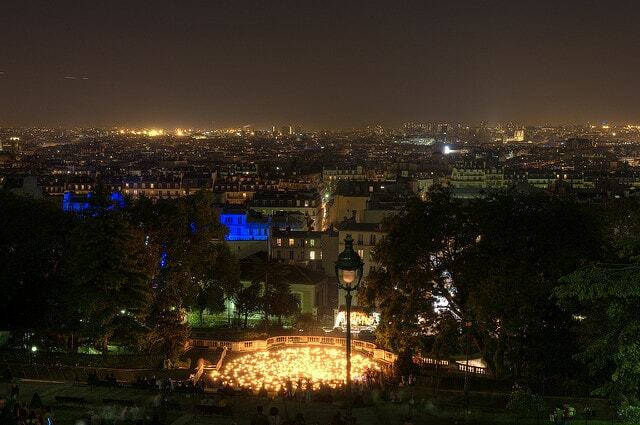 Held every year from 7pm to 7am, Paris’ Nuit Blanche must be experienced at least once in a lifetime. Paris lights up in this cultural carnival of events spanning art, music and theatre. Hundreds of works are commissioned to be set up all around the city, encouraging the public to interact with the urban spaces. Museumnacht brings the whole city of Amsterdam together in a big blow-out celebration of culture. Among the many categories of event, you will find visual arts, music, history, literature, poetry and theatre, as well as more niche types of event such as politics, peace, science and LGBTQ. The event goes on from 7pm to 2am, and you can plan your route through an app, which even includes the official after-parties. It’s only natural for the city that never sleeps to have tons of museums hosting events late at night. Amongst the myriad of possibilities, there are four that stand out: the MoMA Evenings allow for late visits, during which you can enjoy live music in its sculpture gardens; the Whitney Museum, which is open until 10pm on Fridays and Saturdays for special programmes; the K2 Friday Nights at the Rubin, with live music and other site-specific activities; and the Brooklyn Museum, which even offers a happy hour. The Toronto Nuit Blanche event is another free, annual, city-wide celebration of contemporary art. From sunset to sunrise, Toronto is transformed into an artistic playground as the public engages with some exciting works of contemporary art, set up in the most unexpected public spaces. Nuit Blanche Toronto also encourages the public to interact with the urban city spaces, mainly through art installations. From September to December, locals and visitors to Brussels can enjoy a full programme of activities in five different museums every Thursday evening. One of the aims of this long event is for the public to rediscover the cultural wealth of Brussels through the different museums in the city. During the Museums Nocturnes festival, you can visit and take part of the activities in five different museums every Thursday night, which makes for a grand total of 68 museums overall. 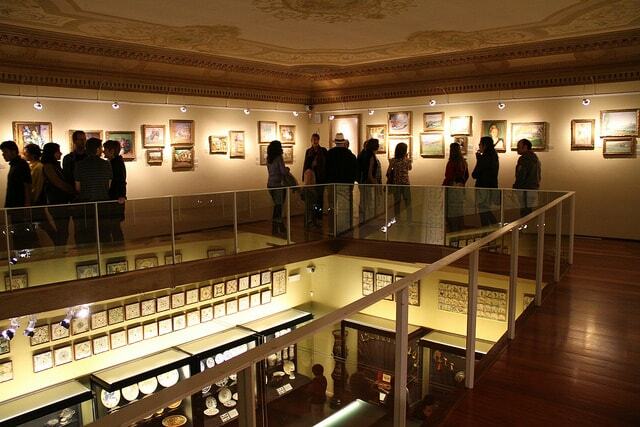 In La Noche de los Museos, more than 240 public and private spaces participate in offering hundreds of activities and shows so that locals and visitors alike can experience Argentinian art, culture and history like never before. 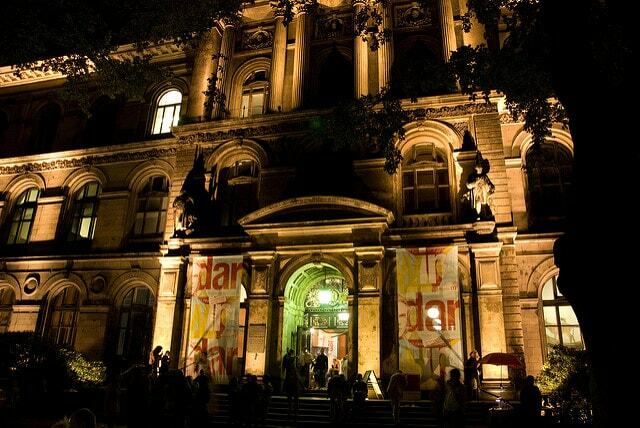 Barcelona also has its own museum night, La Nit Dels Museus, where more than 80 museums and cultural centres open their doors until way past midnight. There are performances, music gigs, workshops, guided visits, and kids’ activities. There are specific themed routes to follow, and one of them will be dedicated to the creation of the artwork, allowing the public to see works in progress inside some of the museums in Barcelona. Noć Muzeja is celebrated in more than a hundred cities in Croatia. In addition to cultural institutions, galleries and museums staying open late, the admission fees for all venues are waived for the night. This is a great way to incite the public to experience the city’s art and culture, democratising it for one night. Across the country, and particularly in the city of Debrecen, major institutions and local collections open and host more than 2100 events for Múzeumok Éjszakája. The scope is so big that, no matter which city you choose to spend it in, intensive planning is required; luckily there is a mobile app to help on this front. The best part of Múzeumok Éjszakája is that the public is encouraged to be green, by riding a bike to the different events, using one of the electric mini-cars available on specific routes or renting an electric car at a discounted price. All venues and collections at the Museum Night in Prague are free, except for Vyšehrad, which has a nominal entrance fee. Information tents are set up around the city, with staff members advising on the choice of sites to visit, activities and transportation. There are 10 bus lines that run specifically along the museums route on that night. Uruguay’s capital has also caught up to this trend, and offers a great variety of activities and venues to visit in Museum Night. Every year, a different motto is selected, creating a theme for artists to work around and use as a stimulus for their site-specific works. In addition to the typical cultural, art, music and performance shows, gastronomy, craft beer, poetry and technology also play a big part in this night. Discover more museums around the world.